Lead generation marketing is a critical consideration for countless businesses. If your firm isn’t attracting new leads, then you can’t expand your business. In fact, you can’t even hold-steady, since you’ll undoubtedly lose some existing customers over time. 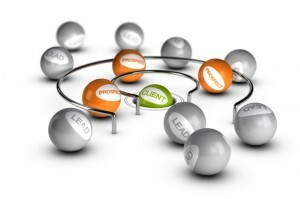 It’s therefore critical to make the most of your lead generation marketing efforts. Here are six tips to help you achieve that goal. One of the simplest, most important aspects of any successful lead generation marketing strategy is to maximize your potential by utilizing all available resources. In many cases, business decision-makers don’t fully explore their options, and as a result they miss out on valuable lead generation opportunities. Consider Twitter, for example. Twitter has quickly become a standard component of many companies’ overall marketing strategies, and with good reason. Twitter’s popularity makes it ideal for reaching out to a large number of followers, delivering succinct, engaging messages and encouraging conversation. While many businesses of all sizes use Twitter, far fewer make use of Twitter’s Lead Generation Cards. As Twitter explained, these Lead Generation Cards provide a quick, easy way for users to share their email addresses with a business if they are interested in that company’s offerings. After expanding a company’s tweet, all of the user’s information is automatically filled out on the Lead Generation Card – all the follower has to do to sign up is click a button. The lower the barrier for entry, the more likely an individual is to sign up and become a lead for your business. Twitter Lead Generation Cards are one way of accomplishing this, but there are many others. Your firm should always make it as easy as possible to express interest in your company. As you pursue various lead generation marketing strategies, you should always keep an open mind. There are many options available to you and your company, and it’s impossible to say for certain what will work best for your specific situation – that is, until you actually try them out. Then it’s critical to examine the results, adjust and move forward. As you go through this process, one of the overriding principles should be to maximize what works. Whenever one of your campaigns or other efforts proves surprisingly effective, you should be willing to set aside your existing plans and instead focus more on this success story. Maybe it was a particular Facebook campaign. Maybe it was a series of blog posts. Whatever the case, striking when the iron is hot is a key part of lead generation marketing. Virtually every website should have a Contact Us page. After all, any interactions between your business and a consumer will make that individual far more likely to become a customer. Beyond that, Contact Us pages present a major opportunity to collect the site visitor’s information, thereby creating a new lead. To make the most of these opportunities, you need to optimize your Contact Us page, as All Business Experts contributor Howard Yeh recently highlighted. Yeh noted that while it may seem simple, he has seen many businesses with subpar, inadequate Contact Us pages that hurt the companies’ ability to attract new leads. For example, some companies simply put up the corporate email address as the only option for site visitors to contact the organization. Yeh pointed out that it is very common for such emails to get lost in the company’s inbox, thereby resulting in a missed opportunity. Instead, he recommended using a contact form. Additionally, Yeh argued that your Contact Us page should anticipate the reasons why site visitors may want to reach out to your company. The better you’re able to do this, the more useful your Contact Us page will be, and the more likely consumers will be to engage with your firm. On many businesses’ websites, visitors are provided with a number of actions they can take. These can range from requesting an estimate to downloading a brochure to contributing to a forum. If your company website includes these or any other options, you should unite these actions with lead generation efforts, Yeh explained. Ask users to provide their contact information prior to taking any of these steps in as unobtrusive a manner as possible. Yeh also recommended sorting these leads based upon the specific action. For example, someone asking for a cost estimate is a much more valuable lead than signing up to contribute to the website forum. The ideal next step will vary in both of these cases, so you don’t want to mix all of the leads together into a single stream. Live chat could be grouped among the website actions highlighted above, but it is so powerful that it merits its own section. By including live chat on your website, you can provide immediate answers to consumers’ questions, and this can move visitors far along the sales process. Numerous surveys have found that live chat remains incredibly popular with many consumers, and this makes live chat an incredibly useful lead generation strategy. However, live chat is only a viable option if you have the staff necessary to engage with site visitors. If someone comes to your website in order to chat with a representative and receives a message informing him or her that no one is available, then your live chat investment will backfire. One final key for improving your lead generation marketing efforts is to focus on earning your audience’s trust and gaining their interest. After all, consumers are going to be far more likely to provide contact information if they have confidence in or are amused by your firm’s offerings. If you can establish reliability, you’ll see a lot more repeat site visitors and enthusiastic followers. This is not something that you can accomplish overnight. Yes, a single good offering – a blog, video, social media post, and so – may be enough to encourage the consumer to explore your company’s other offerings, and maybe even sign up for a newsletter. But far more individuals will simply move on after consuming the specific piece of content. To convince site visitors and social media followers to go further and actually volunteer contact information, you need to provide a more compelling reason. You need to have proven to those consumers that they can expect more enjoyable, interesting, informative content by signing up. This takes time. Only through ongoing efforts can you hope to achieve the reputation you need to gain consumers’ trust. For this reason, your lead generation marketing campaigns should be long-term. Plan ahead far in advance, so that you can pace out your efforts and gradually establish your company as a thought-leader and crowd-pleaser. If you only look at the short-term, you won’t have enough time to achieve these goals, and your results will suffer as a result. Patience is a virtue when it comes to lead generation marketing. 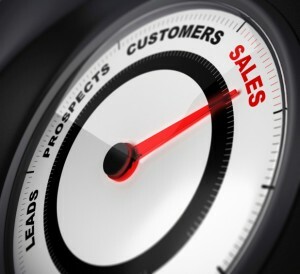 What strategies has your company used to increase your lead generation success rate?